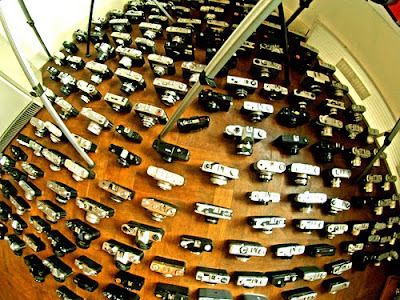 Justnoey: How many cameras are too many? Mr. S is usually very sweet and doesn't really say anything about my camera obsession but every now and then he'll frown about it if the fridge is filling up with all my different films and there's no place to keep food! 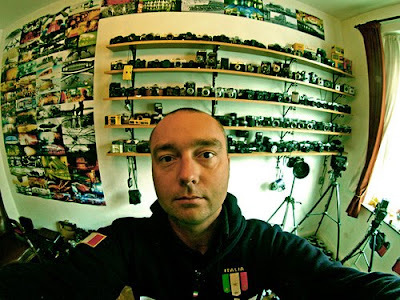 But after looking at the amazing collection of cameras by photographer & camera collector Romuald Swieconek (more than 500 & counting) I don't feel as guilty of my humble number of 8. 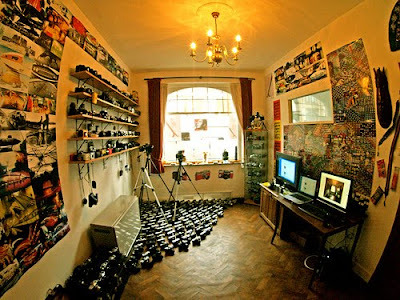 Check out his flickr photostream & camera collections here.